The Romans developed building and engineering techniques from countries around them. They recognized the potential of concrete, which catapulted them to construct the monumental public buildings that have become their legacy. Students were each given a different building to research and learn about. This project includes a drawing of the floor plan, detail pull out sketch, written essay and presentation board. One of my favorite websites to send the students to is Great Buildings. Architecture Types were domestic buildings such as Hadrian's Villa. The video below shows the ruins and then the digital reconstruction. Very well done! 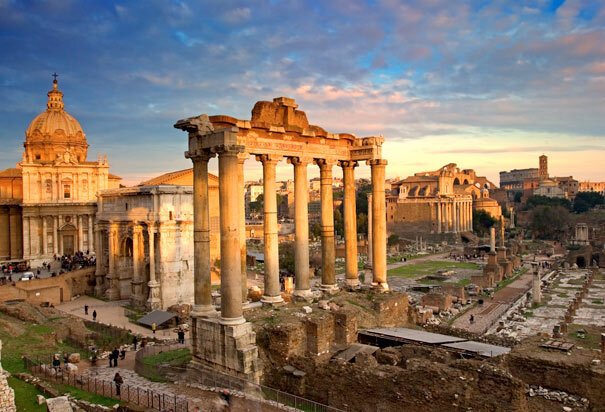 Roman Public Buildings like the Forum, The Markets of Trajan, Baths of Caracalla, The Colosseum and Religious buildings such as the Pantheon and The Ara Pacis were all used for this project research.